Bryn Cohn company dancers, from New York, are favorites at “Chop Shop” performances. From a one-day festival a decade ago, the annual Eastside dance showcase “Chop Shop” has grown to a multiday, multicompany, multicultural dance showcase. Choreographer Eva Stone had lived in the Seattle area for about a dozen years, running her own dance troupe and teaching dance classes in Redmond, when she came to a realization. While there was a growing number of student dance companies on the Eastside, there was nothing on a professional level. In 2008, after learning that Bellevue’s Meydenbauer Center had a Sunday afternoon open in its calendar, she figured she’d try doing something about it. 7:30 p.m. Saturday and 3 p.m. Sunday (Feb. 18-19), Meydenbauer Center, 11100 N.E. Sixth St., Bellevue; $26-$28 (800-838-3006 or brownpapertickets.com). They were just glad she hadn’t ended up in debt. The following year, with funding from 4Culture and the city of Bellevue, “Chop Shop” expanded to two days. The festival made a profit and all the artists were paid, albeit modestly. Ever since, “Chop Shop” has helped Eastsiders “access this weird thing called contemporary dance,” as Stone puts it. The festival celebrates its 10th annual performance this month. 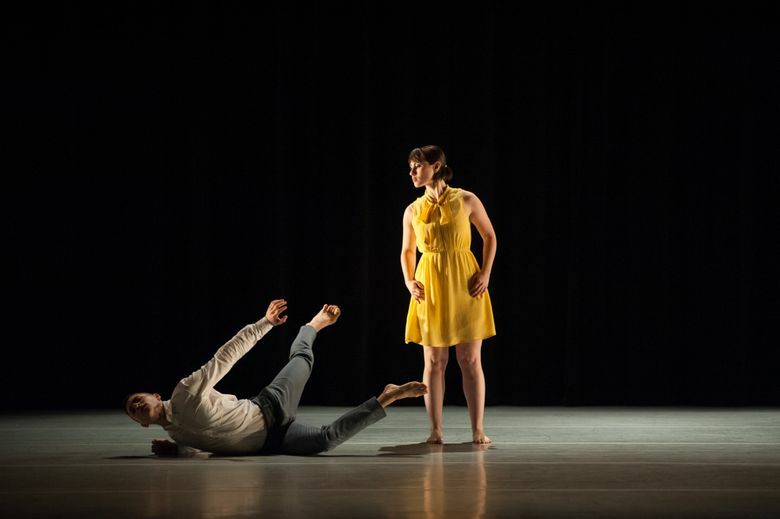 Spectrum Dance Theater’s Donald Byrd contributes a three-minute solo to be performed by Pacific Northwest Ballet’s Miles Pertl. New to the festival are performers from New Zealand School of Dance. These days when Stone puts out a call for “Chop Shop,” she gets as many as 150 responses from as far afield as Timbuktu, Morocco and China. This 10th-anniversary show was curated as a best-of-the-fest lineup, with no calls going out. Even so, Stone got 50 applications for it. How has the festival lasted this long?